Collins Mountain Ranch is offering private land elk and mule deer hunts in northwest Colorado. The application deadline is Oct. 1. 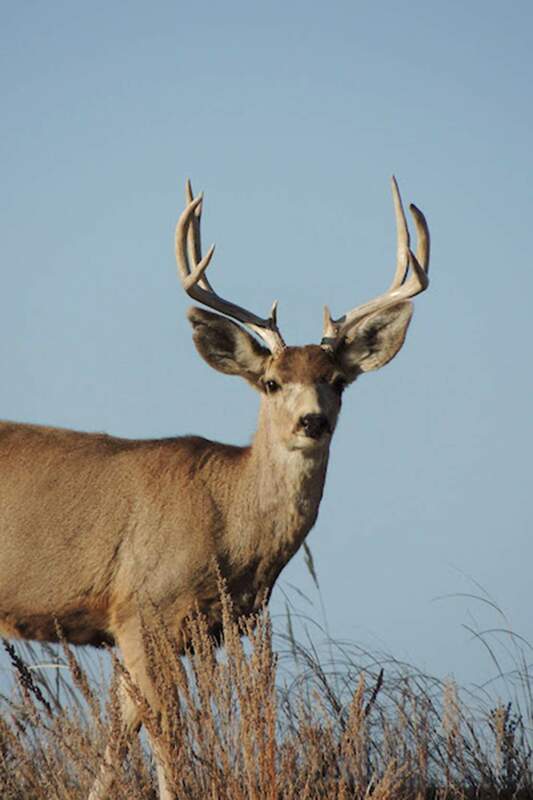 Colorado Parks and Wildlife and the Collins Mountain Ranch in Meeker are offering big-game hunters an opportunity to apply for a limited number of private property, elk and mule deer hunts during certain hunting seasons in fall of 2018. The ranch is located in Game Management Unit 23, home of the White River mule deer and elk herds, two of the largest big game populations in the state of Colorado. The hunts are open to all eligible hunters; however, preference will be given to youth and military veterans that apply. There is no cost associated with the application. Interested hunters must submit their application by 5 p.m., Oct. 1, 2018. In the application, hunters should be specific about which of these hunting seasons/opportunities they are interested and eligible to apply for. Send completed application to: Colorado Parks and Wildlife – Meeker Office, Attn: Bailey Franklin/Collins Mountain Ranch Hunts, PO Box 1181, Meeker CO 81641.